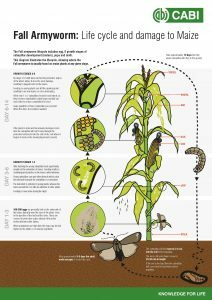 It’s difficult to know who reads a fact sheet, listens to a radio broadcast or watches a farmer learning video, but those of us who produce such information always want to know what happens to it, once it leaves our hands. In 2011 my colleagues at Access Agriculture tried a new way to do audience research. Access Agriculture and partners distributed 20,000 copies of a DVD on striga (the devil weed) across East Africa. Each copy contained a questionnaire, formatted as a letter, asking the viewers to tick off a few boxes and mail back the letter in the post. No one bothered to return the survey. So in 2015, PhD candidate Gérard Zoundji tried a slightly different way to get feedback from viewers in Benin, as he explains in a recent paper in Cogent Food & Agriculture. 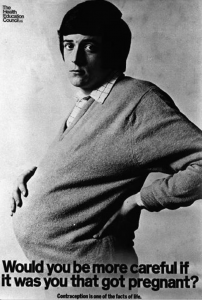 First he compiled a DVD in five languages, with nine different videos on growing vegetables. 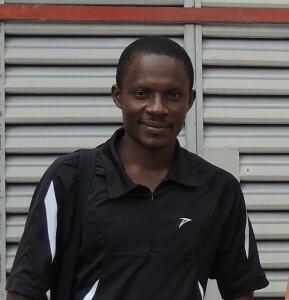 Next, Gérard distributed his DVD through the private sector, mainly through agro-input dealers and people who sell movie DVDs. Previously DVDs had been distributed through extension providers, NGOs or government agencies, not from small shops. Gérard asked the vendors to collect names and phone numbers of people who bought the DVD, so he could do follow up work with the buyers. Gérard gave the vendors the DVDs for free, in exchange for their cooperation, but allowed them to keep the equivalent of a dollar or two which they collected for each sale. He also tried a new way of doing follow up. He put a sticker in the DVD jacket, with a note inviting the recipients to phone in if they had questions. The number was for a SIM card that Gérard bought, just to receive such calls. It was a pleasant surprise when people started phoning in. Of 562 who bought the DVD, a whopping 341 phoned Gérard. Some just called to say how much they had enjoyed watching the videos. Others wanted to share their story. Nearly 20% of them had been so eager to watch the videos that they bought their own DVD player. Others called to ask where they could buy the drip irrigation equipment featured on one of the videos. The six agro-input dealers who were selling the DVD were also impressed with the video on drip irrigation, and the interest it inspired in farmers. Two of these dealers actually began to stock drip irrigation supplies themselves. As Paul has written in an earlier post, farmers who have been exposed to drip irrigation through development projects usually abandon drip irrigation once the project ends. 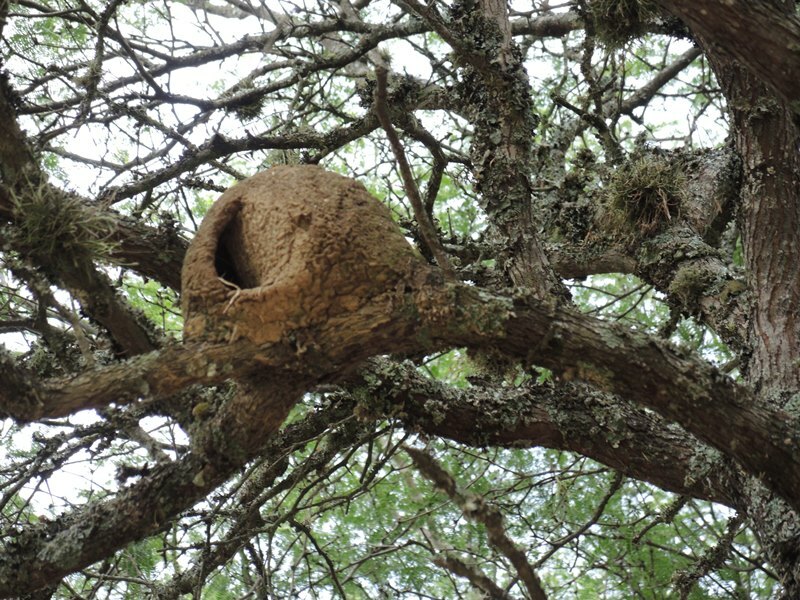 Projects usually make little effort to involve the private sector. Yet here were dealers who were motivated enough to find out where to buy the drip irrigation equipment, and stock it, in response to interest shown by farmers who had watched a video. Sometimes simply watching a video can excite people more than participating in a full project. I am always delighted to learn about someone using a cell phone in a new way, especially if it involves giving rural people the chance to make their voices heard. A sticker inside a DVD cover was enough to encourage buyers of a DVD to call in with comments. Since publishing the paper, Gérard has been discussing with Ministry of Agriculture staff in Benin about ways to design an advisory service via phone call. Agro-input dealers and movie DVDs sellers, including some who were not involved in the study are now requesting new DVDs to sell. In this story we see the phone was linked with the DVD. Both are ICTs (information and communication technologies), but the connection between the two was one of the oldest ICTs: the printed word on paper. One of the most common questions about farmer training videos is how farmers will watch them if they don’t have electricity to run a projector, or own a laptop. As mobile communications improve, however, new ways are emerging that are making it easier for farmers to download, view and share videos. This week, at a workshop in Tamil Nadu, southern India, my colleague Jeff and I were teaching local partners to validate fact sheets on major crop pests and diseases with farmers. We all learned a lot from farmers who read first drafts, and commented on their content. The fact sheets than served as basis on which partners developed scripts for training videos. Before leaving the village I was again reminded that farmers no longer need expensive hardware (such as a computer or TV and DVD player) to watch videos. Technology has evolved swiftly and influenced lives in rural areas in ways that were hard to imagine a decade ago. Over the past decade mobile phone companies in developing countries have been offering financial services that are just beginning to see the light in Western countries. The boom in mobile phone use has triggered new types of service providers. 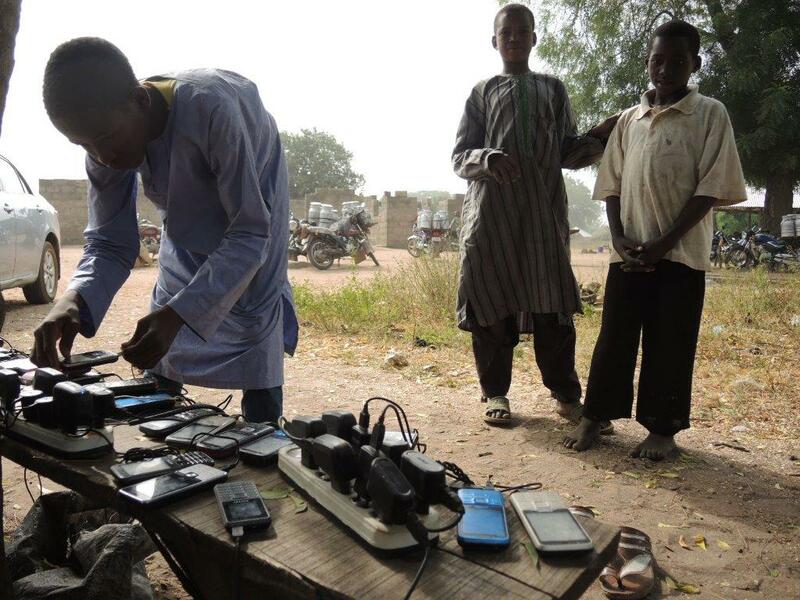 Teenagers in Nigeria and many other African countries now tap power from solar panels to charge the mobile phones of rural folks coming to the weekly market. 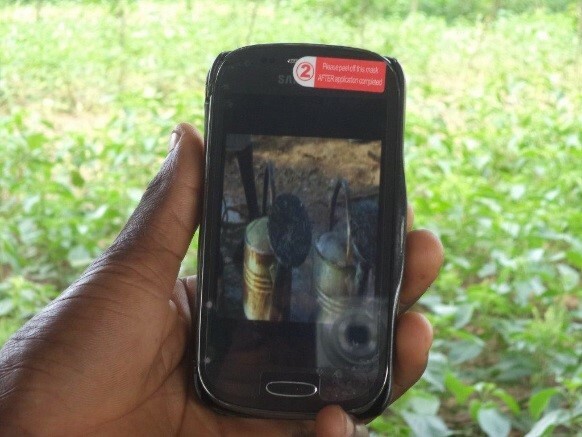 Last year, Gérard Zoundji (from the University of Abomey-Calavi) sent me photographs of a farmer in southern Benin who had watched farmer training videos about vegetables on his mobile phone. Someone had bought a DVD at the local agro-input shop and converted the videos from the DVD into 3gp format to watch on his mobile. Farmers are now able to watch videos even without DVD players. 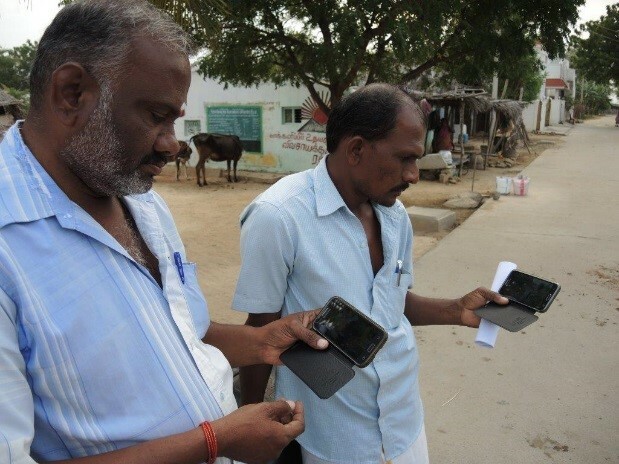 This week in India I saw farmers go one step further, and download videos. Kannappan, one of the trainees from the local NGO MSSRF, was chatting with some of the village farmers when one of them, Ramesh Permal, mentioned he was rearing fish in a pond. 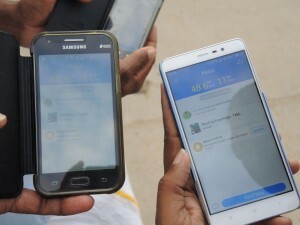 ICT-savvy Kannappan took out his mobile phone, connected to the Access Agriculture website, and searched among all Tamil videos, and found one on raising fingerlings. It took him less than 3 minutes to download the video to his mobile. Mr. Permal and another farmer then took out their smart phones, and swiftly connected to Kannappan’s mobile . The video file was nearly 50 Mb, but they transferred it to their mobile in just over 10 seconds using the SHAREit app. 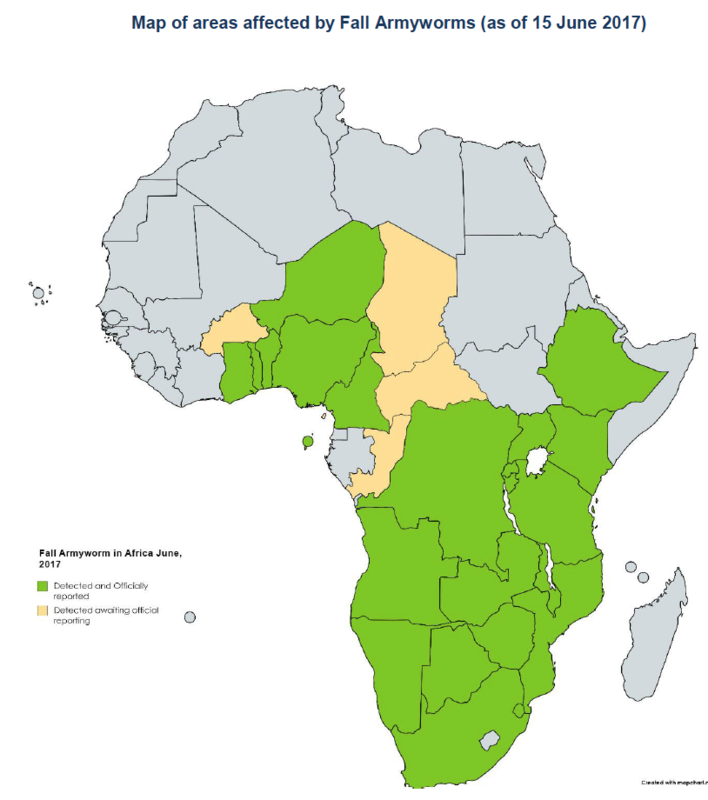 For ease of downloading to mobile phones when there is not a very good internet connection, Access Agriculture has also made all videos in its library available in 3gp format, which is about half the size. After having said goodbye to the farmers, one of them saw the Access Agriculture website address (www.accessagriculture.org) on the back of my t-shirt and asked if he could take a photograph of it (with his phone). He would use the address to download more quality training videos in his own language. Farmers may not have computers, but they are starting to get smart phones. Some smallholders rely on extensionists to get electronic information, but others are starting to use their phones to access information on their own, directly from the internet. We are grateful to the MS Swaminathan Research Foundation (MSSRF) and the Krishi Vigyan Kendra (Farmer Science Centre) for helping to organise the workshop and field visits. Cell phones and FM radio stations can interact as if they were made for each other. 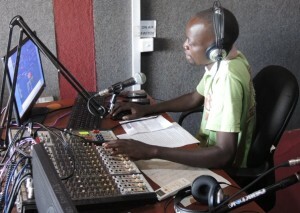 In northern Uganda, Radio Tembo FM 103.5 broadcasts in the Luo language from a hilltop above the dusty town of Kitgum. The station combines radio with phones to help farmers get back to business after a long break. The surrounding area is still recovering from the 20 years of war with the Lord’s Resistance Army, a conflict that more or less ended only about 2008. Most of the farmers spent much of the war in camps, and have only been farming again for a few years. 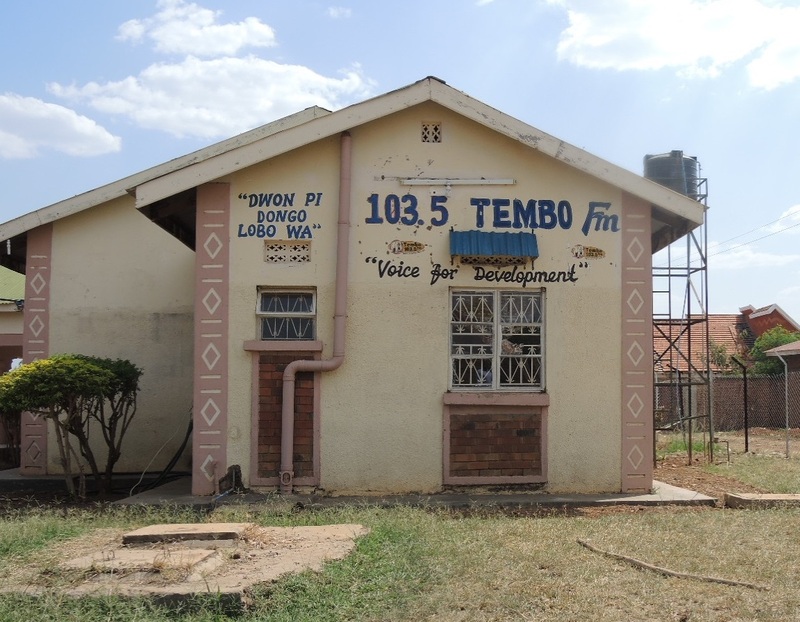 Radio Tembo first gained an audience by playing popular music, but then started a farm market program every Friday. The radio broadcaster would tell the listeners what was on sale in the various market towns, and list the prices. Farmers phoned, with information of their own. The market report was soon a bigger hit that the music programs. The farmers use the radio to attract business. One farmer called to say that he had 20 bags of cassava for sale. Speaking live from his phone, he gave his name and the name of his village, and another listener left immediately, and bought all 20 bags. Farmers had always liked the weather report, but the market show became so popular that Radio Tembo added an ago-business specialist, Patricko, and aired the market show every Monday through Friday from 11:30 to noon, plus an hour-long magazine program on Sunday evenings. Radio stations can buy expensive hardware to handle multiple phone calls, but Radio Tembo simply places three cell phones on a desk. As soon as the announcer asks for calls, all three phones ring at once; the callers are eager to get on the air. Some farmers call to tell their troubles. 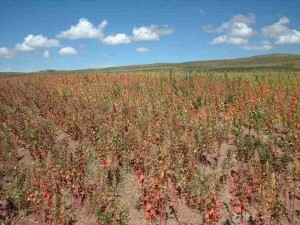 For example, one farmer rang up to say that buyers came to his house to take his four bags of sesame. They loaded the bags onto their truck, but only paid him for two bags. They said that they could give him the rest of the money in town. He gladly climbed on board the truck, but half way to town, while driving through a village, the buyers threw the farmer off the truck, shouting “thief, thief!” The bruised, humiliated farmer was able to explain himself to the villagers, but he was still hurt, and cheated out of his money. Another farmer called to say that he had just sold his sesame for one million shillings (about $400). The next day some young thugs came to his house and beat him up and took his money. 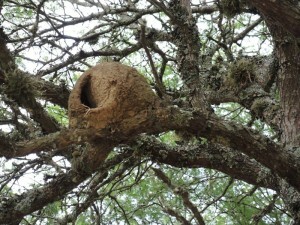 Stories like this alert other farmers to the scams being used in the area. There are a lot of unemployed youth who grew up in refugee camps. Many of these youth are unskilled and desperate for money. Now that folks have moved out of the camps and are back on their farms, commodity buyers are returning. But it takes time for buyers and sellers to build trust, and some of the new buyers are dishonest. Radio Tembo learns from the callers’ stories, and comes up with solutions. The broadcasters advise farmers to sell in groups, for greater safety and for more negotiating strength. The station suggests that farmers open bank accounts, so they don’t have to carry cash. In response to this, one of the local savings and credit cooperatives has begun to sponsor the market show. Cell phones can combine with radio to allow smallholder farmers to lower transaction costs, to get accurate information about prices, to tell their problems and find solutions. Phones and radio fit together well; they are both based on the spoken word, and both are friendly to local languages. 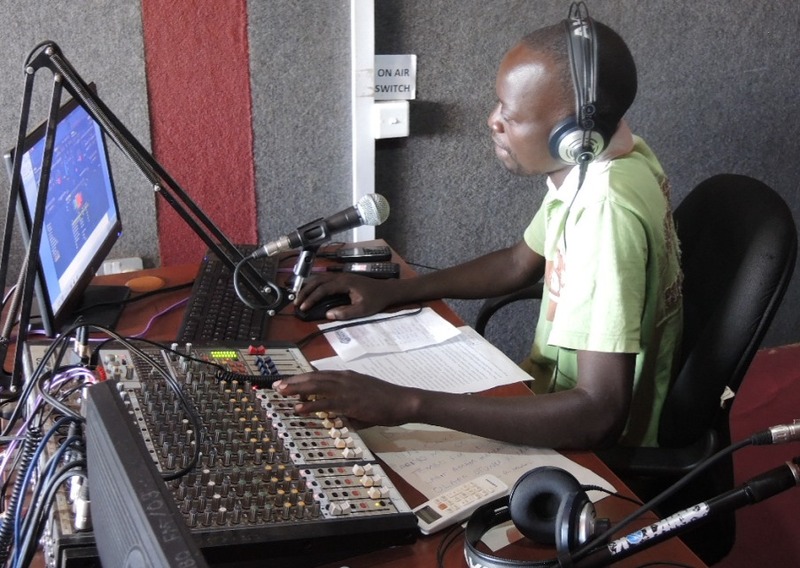 People in North Uganda didn’t invent talk radio, but they are remaking it, in their own style.